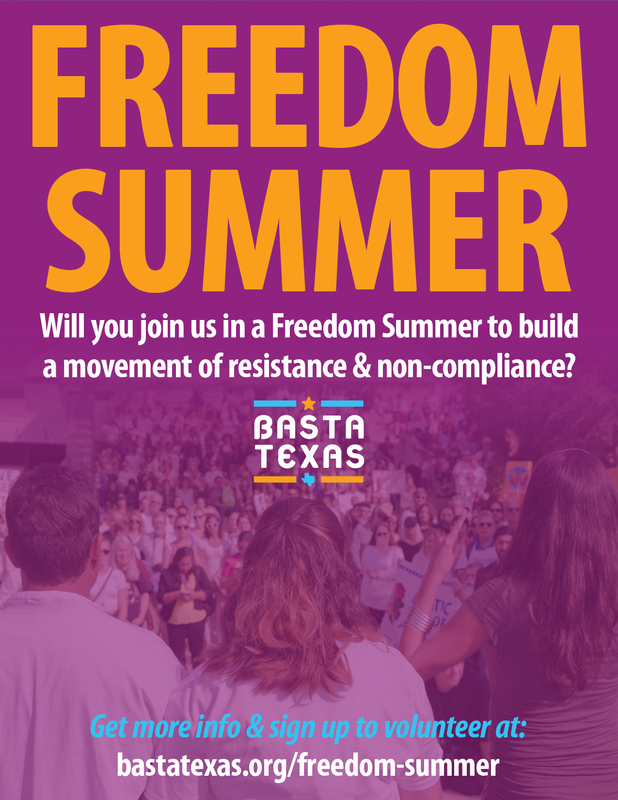 Basta Texas - Join us in Texas for Freedom Summer! In the era of Trump, SB4 opens the door for extremists to target immigrants and all people who look or speak differently. We can’t let that happen, and we won’t. 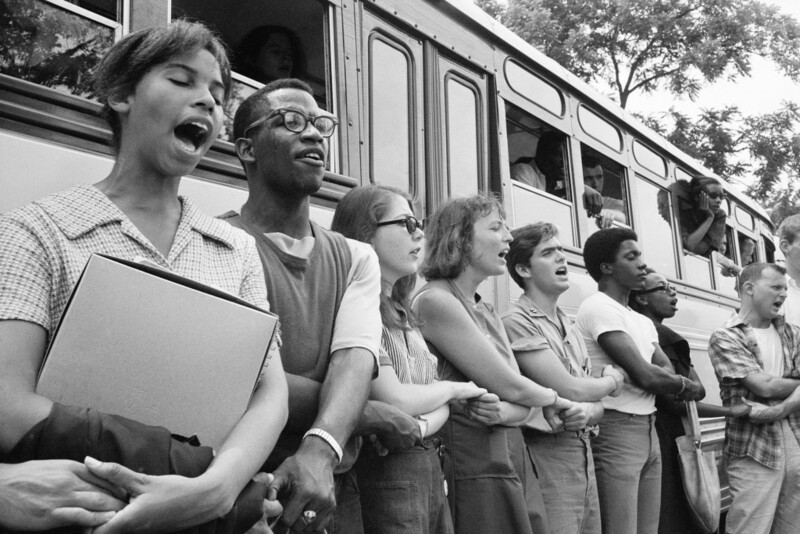 In 1964, in the face of exclusion and violence against African-Americans in the South, civil rights organizations like the Congress on Racial Equality (CORE) and the Student Non-Violent Coordinating Committee (SNCC) organized youth from across the the country to a Freedom Summer in Mississippi. The original Freedom Summer was a historical moment for all who participated, and in the legacy of civil rights in the U.S. 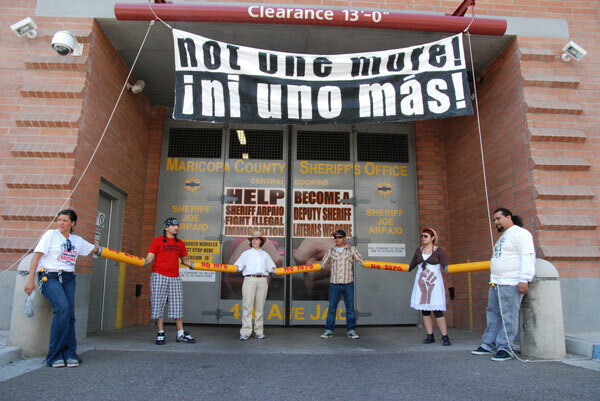 In 2010, when Arizona veered into racist hate legislation, activists from across the country traveled to Phoenix to join the fight against the infamous Sheriff Joe Arpaio and SB1070. We know what happened next — a national movement to turn the tide against hate, criminal indictments against the sheriff, and federal courts striking down the worst parts of the law. But resistance didn’t just happen, it took time, dedication, and lots of organizing. Today, Texas is ground zero for the fight against Trump-inspired, white nationalist legislation. And now is the time to engage. This will be a BastaTexas Summer, a grassroots campaign against the politics of fear and hate. Our partners in Texas are already busy at work, hosting Defend Your Rights sessions and building with local artists. And we must all lend our support for the bottom-up resistance that will turn the tide in Texas, and send a message to the rest of the country. We are looking for dedicated artists, volunteers, and organizers who can commit to 1-3 months of organizing in Texas between June to early September. We will cover housing, food, and training. Will you join us?